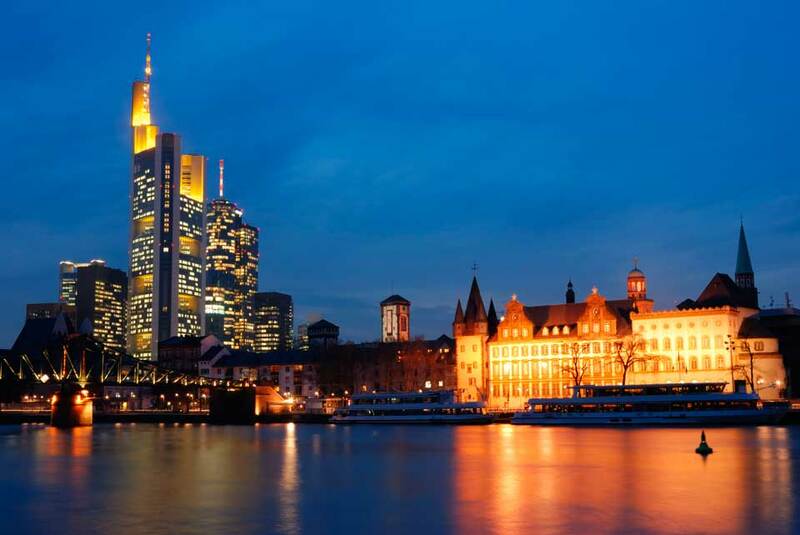 Frankfurt is a city with many beauties the river main where is located gave her the name “Frankfurt a main” Her architectural structure makes her distinguish and transforms her in a main tourist attraction. This city is the most powerful financial centre of Europe. It is the seat of the European central bank, the German Federal Bank,the Frankufurt Stock Exchange and the Frankfurt Trade Fair. The heart of all political developments concerning the European Union beats here. The important personalities that are at the forefront of world affairs and visit Frankfurt don't want to leave their business trip to chance, but so do the tourists. For these two different categories the only safe choice is Van hire. Van hire is a service that provides luxurious minivans of latest technology that serves in the best possible way your transportation needs. Your computer is the only thing you need in order to book your minivan on- line. Visit our web page at www.vanrental24.com and discover a unique travelling experience. The sense of freedom that minivan rentals offer makes you want to explore every part of this wonderful city. From the comfort of your seat you are going to wait every stop to the next sight with anticipation, but without the sense of tiredness. The first thing that attracts the visitor's eye is in fact the unique skyline visible from far away it is the number one landmark of the city. Visit the town's Cathedral which was reconstructed twice first on 14th of August 1867 due to a very bad fire that destroyed the biggest part and a second time after the ending of second world war then the reconstruction lasted for three years from 1950-1953. Coronations of Holy Roman Kings also took place here. Pay a visit to St Paul's church and after a relaxing walk on the shore of Main visit the Nizza Gardens that were created between the 1866 and 1875. They are protected by sandstone walls and they host a variety of plant spices. The lovers of nature will appreciate also the Palmengarten with plants from all over the world. For the admirers of classical literature the house of Goethe Frankfurt's pride is the perfect place. If classical beauty is what you are looking for Höchst Porcelain Manufactory will be your favorite sight. It is the second oldest factory in Germany and you will have the chance to see live all the production process. With 12 seat minivan rentals a daily escape out of the city becomes the salt and pepper of your journey. Enjoy a perfect drive until the amazing Old Sachsenhausen with the historical have timbered houses and taste the exquisite and famous apple wine of Frankfurt at one of the wine pubs. Here you will feel real sense of hospitality. 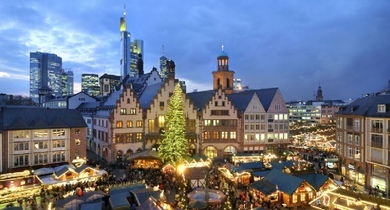 As every coin has two sides the some applies to Frankfurt No matter if you are here for business reason due to Frankfurt's great financial impact in the world stage and you wish the day had more hours, or even if you are here to enjoy the city's beautiful places Van hire gives a different touch to your trip. It gives you the opportunity to travel in the easiest way and to plan your trip according to your own personal needs.